As we turn our attention to the holidays and 2016 draws rapidly to a close – reflection and gratitude seem be the order of the day. What a grand year 2016 was for our chapter! I want to celebrate and acknowledge you – our members and thank you for your continued commitment to your chapter and to your growth as a professional coach. Each year ICF Global asks for a “State of Our Chapter” report. As I sat down to write this, I was overwhelmed by the accomplishments of your 2016 Board of Directors and Committee Volunteers. I wanted to share it with you to give you insight into the dedication and contribution of your leaders. Virtual Monthly Meetings As most of you are aware, we shifted from monthly chapter meetings to a robust monthly webinar series as one of our primary benefits to members to support continuing member education and providing CEUs. Since the Virtual Lunchtime Learning classes began in April of 2016, we have had over 150 coaches sign up to participate in the 7 classes that we have had to this point. We have one more class scheduled for this year. And 8 classes scheduled for 2017 so far. The classes have generated $1800 in revenue to date. Satellite Expansion Decentralizing into a more regional satellite structure to accommodate the state geography has fostered significant membership growth. With this comes the consideration of financial support for meeting places, marketing support, application and distribution of CEUs, etc., for each of 5 satellites. We have added a Board Role to lead Satellite growth and support. Financially, our chapter is healthy We have cash in the bank equal to 9-10 months of operating expenses. We can launch projects and events and confidently pay as we go while knowing event revenue or project ROI will happen later. About 20% of our cash is in a CD as a reserve. Our financial information is all on line with web access including our QuickBooks accounting records. Our treasurer provides a separate Profit and Loss Statement each month and for each of our major four events. Annual budget Finalized a month or two before the beginning of a new year, the budget forecasts all expected revenue and expenses. For the past four years, the budget has been an accurate prediction tool and has greatly facilitated ongoing board planning and execution of our programs and activities. Technology Infrastructure and Utilization Over the past year ICF Washington State has utilized technology to increase effective communication in our educational outreach to chapter members and within the infrastructure of the board. Monthly board meetings are now held via the Zoom platform. This use of technology has provided greater flexibility and participation by board members enabling members to attend remotely and eliminate travel time to and from meetings. It has also enhanced our ability to recruit board members from outside the Seattle metro area. We use Dropbox extensively so that all board members, committee members, and virtual assistants have access to the documents and materials needed to function at the highest levels. In 2017 an overhaul of the ICF Website will take place. In 2016, the Communications Committee has been actively evaluating the criteria and capabilities necessary to serve our membership going forward. First, I wanted to congratulate all of you who have renewed your ICF membership in 2016 and thank you for your continued commitment to your association and to your profession. ICF Global has sent us a list of current membership – we are a large chapter in ICF terms with 493 members! 2016 Annual Gala Award Ceremony to celebrate ICF WA State Coaches was held at the serene Talaris Conference Center where trophies were awarded to category winners, fabulous food was elegantly displayed and enjoyed, a photographer captured smiles and we had interactive audience participation – including a “mini fishbowl coaching” event with mentor evaluations. It was a celebration of our coaches demonstrating the “best practices” of coaching as well as recognition of newly credentialed ACCs, PCCs and MCCs. This annual event goes a long way to develop community spirit, cohesion of purpose and inspires volunteering. (including HR/OD/Training professionals, psychologist-therapists, business leaders, etc.) ICF WA State’s annual “Fishbowl” is always a hit. This year our Evaluating Mentor Coach Panel included 2 MCC’s and 1 PCC Coach. We also invited the President of the Portland, Oregon Chapter to be on the Mentor Coach Panel – a “cross pollination” of chapters. This year we expanded to a “team coaching” version of the fishbowl. The team coached were members of a non-profit agency that works with troubled children. The team members shared with the audience how powerful the experience was for them. In 2016 ICF WA State held its 3rd PRISM Award Ceremony and Conference This program was the culmination of a multi-year plan to engage the consumers of coaching to build market demand for coaches and raise awareness of ICF professional coaching as a whole. The 2016 PRISM Conference was held at a premiere conference center – The Meydenbauer, in Bellevue, Washington. It was truly a first class event. The morning keynote was Francine Gaillour – an MD and PCC who has built a practice Coaching Physicians. Her topic was “Creating a Culture of Coaching to Build Resilience and Transform Healthcare.” The evening keynote speaker, Aaron Hurst spoke on “The Purpose Economy” which is a demonstration of the shift we are seeing in the mindset of organizations allowing for the broader coaching paradigm to be understood in business terms. Conference Workshops included such topics as: Coaching Supervision, Strength Based Coaching, Igniting a Learning Culture, ROI for Coaching, Leading Teams to High Performance as well as PRISM Case Studies. ICF Washington State has created a robust collaboration with its allied professionals in human resources, organizational development and training professionals. For the past three years four organizations: ICF Washington State, Seattle Society of Human Resource Professionals, American Society of Training Professionals Puget Sound and Lake Washington Human Resources Association have participated in developing and sponsoring the PRISM Award Ceremony and Conference. A Special Thank-You to retiring Board members: Dave Nye, Past President and long-term board member, Joe Donaldson, Secretary and Fishbowl event leader, Tim Franey, Financial wizard and budget creator and Nora Tabler, Newsletter creator and Website manager - we will miss you! We hope to see you at future events. A call for Board and Committee Volunteers - Won’t you join us? You’ll broaden your network and relationships, be challenged to use your creativity, benefit from a grand learning experience and experience exponential rewards. The friendships alone are of high value and will serve you well on your journey! We hope you have enjoyed 2016 with ICF WA State. Thanks for being a member – and hope we continue to see you at ICF WA State events! The 2017 ICF Washington State adventure awaits! Please welcome Ann Baus as our new part-time admin assistant for the chapter. Ann brings fourteen years of experience working with small, volunteer driven organizations to our chapter. In fact, we learned during the interview process that Ann worked for ICF-WA from 2004-2007 and she shared a great recommendation from Janet Harvey that was very supportive. 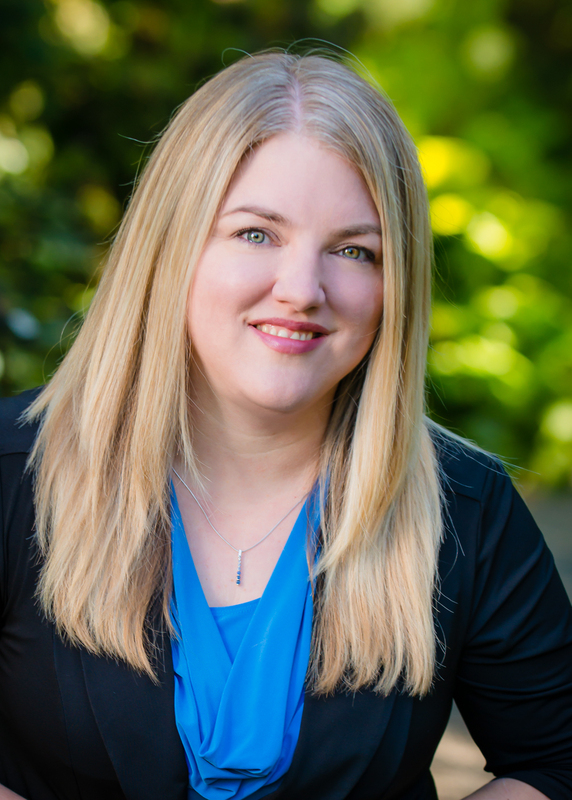 Her company, KD Business Services, provides association management/administrative support to the Puget Sound and Central Massachusetts Chapters of ATD and PNODN (Pacific Northwest Organizational Development Network), Washington Women Lawyers, and King County Collaborative Law. Ann can be reached at: icfwa_va@yahoo.com. I think this has been the most exciting work challenge since I joined the ICF-WA board four years ago. The website has worked well for our chapter for many years, but as we grew to over 450 members, it became clear that the website needed to be improved for two reasons. First, enhanced member services (event registrations and payment, member communications, member renewals, CEU tracking, addition of a mobile presence), to name a few, and second, reduction of the amount of “busy work” by volunteer board members. Several companies were suggested and after initial research, Member Clicks and Club Express were selected and interviewed. Both companies shared extensive web presentations with our committee about their services. We were leaning towards Club Express especially since they have succeeded in winning over many ICF chapters as clients, but when Ann was hired we decided to give Wild Apricot, our current website and database company, a second chance due to her vast knowledge of how Wild Apricot functions. With Ann’s assistance we are currently engaged in conversations with them and hope to present a new website to members in the first quarter of 2017. If you have suggestions for how we can improve our website services, please contact me at nora@noratabler.com. Fingers crossed this all comes together on time and as promised! If you are motivated by giving back to your coaching community, networking with fellow board members and generating ideas to make our chapter even better than it is, then volunteering for our board is for you! The board meets monthly for two hours using Zoom to offer flexibility for board participation regardless of where you live. Each board member leads a committee and presents activity updates and ideas. We all help each other whenever possible. The Secretary provides the oversight and maintenance of the official corporation records of the Chapter. The Secretary provides leadership for the annual ballot process to elect new Directors to the board and engages, when necessary, an insurance broker to place Directors and Officers Liability Insurance for the Board members. The Secretary records and distributes the minutes of Board meetings and maintains official records including bylaws, meeting agendas, minutes and policies. The Treasurer oversees the Chapters’ financial transactions including check signing and oversight of the Chapters’ financial accounts. The Treasurer takes the lead in developing ICF-WA’s annual budget and provides the Board with an updated financial report each month. This person works with the Chapter admin to assure reporting standards are in place on the website for chapter events. The Director of Satellite Groups is the main point of contact for all of our statewide satellite groups. This Director acts as a liaison between the board and current satellites (Bellingham, Bellevue, North Seattle and South Sound) providing updates, feedback and concerns as well as helping the satellite leader build community in their area through new member outreach. The Director of Communications develops and leads strategy for ongoing and relevant communications with members to keep them informed, help build awareness of chapter activities and strengthen our coaching community. Primary duties include producing a quarterly newsletter and maintaining and update the website as needed. Ballots and information about candidates have been sent to your in box. Please watch your email for the year-end ballot for election of officers to the 2017 ICF-WA State Board of Directors. Ballots were distributed to ICF members on November 10th, and must be processed by November 30th. Please welcome Laurie Carlson as our new Newsletter Editor. Laurie will officially take over in the first quarter of 2017. Laurie Carlson is a Certified Professional Co-Active Coach and ACC. She’s a coach for women who are frustrated that their divorce is still impacting their life. Laurie’s favorite part of helping clients is to see them let go of the hurt and anger so they feel confident and in control again. Laurie has been working in the personal development industry for 30 years. She has a background that includes psychiatric nursing, social work, leadership development, human systems, and project management. When Laurie’s not working she’s usually reading a good novel (historical fiction) or hanging out with her three teenagers. She’s also a big Seahawk fan and her heart’s desire is to have season tickets at the 50-yard line one day. 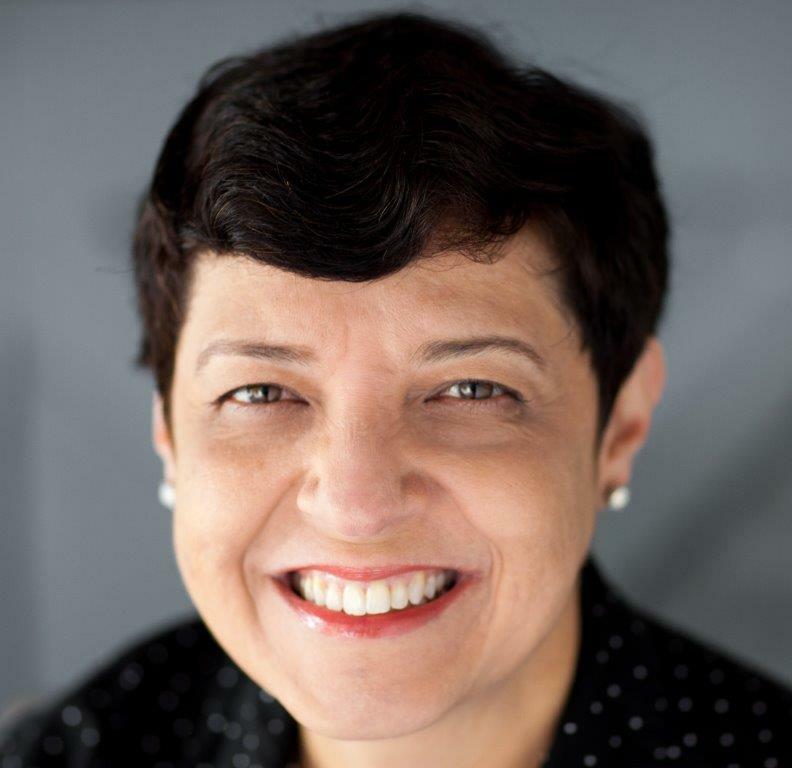 Please welcome Marcia Teixeira to the ICF-WA chapter as our New Director of Membership. Marcia brings 30 years of experience working in corporate organizations, including 20 years at Microsoft to this position. As a Leadership Coach and Organization Development Consultant, Marcia helps individuals and organizations in multicultural and multigenerational environments to cultivate healthier work and personal relationships. Using kindness and transparency aligned with operational excellence, she has coached leaders and teams to become more collaborative, high-performing, and capable of meeting their personal and business goals. Marcia holds a Master’s degree in Organization Development from Saybrook University, an MBA from Universidade São Paulo, is an Associate Certified Coach (ACC - ICF), and certified C-IQ Enhanced Skills Coach. She leads her own Coaching & Consulting practice and is part of the senior management consulting group Managing Across Borders. Marcia is a life-long learner committed to enabling herself and others to live intentional, relevant, and happy lives and to contribute to progress in the world. Voice Dialogue for Coaching is a discovery system that promotes exploration and acceptance of all parts of us so that we can listen to, learn about, and gain compassion for ourselves at the deepest level. Voice Dialogue brings awareness about the various ‘selves’ that our clients feel oppose each other and/or sabotage forward progress. 2. Why do you believe you are stuck? 3. What is standing between you and your goals? 4. Are you stuck because you lack certain skills or knowledge or because you know what to do but haven’t been applying what you know? 5. If you knew that nothing you said would be considered wrong, what answer would you give? 6. If you were pretending to know, what would the answer be? 7. Have you run out of answers, or have you run out of easy answers? 8. What research can you do to find the answer to this problem? 9. What advice would you give your best friend if they were in this situation? 10. Five years from now looking back on this moment, what would the best decision be? 11. Is it possible for you to figure out an answer by our next session? 12.Who do you know personally who has overcome the challenge that you are currently having? 13. Who have you heard of who has overcome the challenge that you are currently having? 14. What resources do you already have that can help you make forward progress? 15. Have you ever overcome this obstacle in the past? How did you do it then? 16. Have you ever solved a similar problem to this? What takeaways from that can you apply to this situation? 17. What, if anything, gives you hope that you can overcome this challenge? 18. Are you pursuing a goal that you authentically want, or is it what others expect of you? 19. Are you crystal clear on what you want? 20. What would you pursue if you knew you couldn’t fail? 21. If you were more willing to step out of your comfort zone, what opportunities would arise for you? 22. Are there any decisions that you have been avoiding making? 23. Would taking a risk help you get unstuck? 24. Is your desire to get unstuck greater than your fear of coming out of your comfort zone? If not, what could be done to get your desire to increase to that point? 25. What behaviors, if any, are undermining your progress? 26.What is a solution that you have heard of but have yet to try for yourself? 27. What skills do you have that you aren’t currently utilizing? 28. How can you redefine this situation in a way that emphasizes your personal power? 29. What is something that you are passionate about? How can you use that passion to help you achieve your goals? 30. What would you do in this situation if you knew that no one would judge you? 31. What is your gut telling you to do? 32. What is the simplest step that you can take in the right direction? 33. What action that takes one hour or less to complete could move you in the direction of achieving your goals? 34. What action would you take if you valued yourself more? 35. What action would you take if you trusted yourself more? I hope these questions help you when you work with your clients. I'm still not convinced I'm any good at this. I worry that I'm not really helping people. And they pay me! I’ve been thinking about taking a job selling perfume at Nordstrom. So let me start with what I know about you. As a new coach, you’re probably coaching all-comers right now, but you’ve got some hunches about the specialties and sectors you might be uniquely suited to understand and serve. Who’s surrounded everyday by hundreds – if not thousands – of people, interacts with a few dozen,and yet still feels like they’re going it alone? Despite living in the most connected time in history, it’s still possible to feel isolated. In fact,because so much of the conversation is fleeting, superficial, and virtual, we have to work diligentlyto ensure we’re regularly connecting on a meaningful level. And that includes interaction andfeedback with our clients and prospects. Our feedback loops have to extend past likes, shares, retweets, and “love this!” comments. It’sbeneficial to break the echo chamber by giving people a chance to provide substantive feedback. I have a coaching client who was sharing her favorite parts of the book Creativity, Inc. She wasparticularly taken with the idea of a “war room,” a physical space dedicated to creative thinking,where hierarchy is smashed and everything’s on the table – as well as on the floor, windows,whiteboards, and walls. When I heard that, I thought, “I want a war room!” But I work alone, andthe name “war room” doesn’t really resonate with me. But the concept of creating a generativespace where people could offer feedback and ask questions about ideas I had bouncing around inmy head? That resonated with me a lot! So I tweaked the idea of a war room and ended up hosting three separate focus groups, withparticipants recruited through social media and my podcast. Each group met for an hour on Zoom(a fabulous video conferencing platform). I opened by providing context with an outline of mycurrent offerings, then presented a few new offerings that I had in development. I asked somespecific questions, but mostly kept the space open for whatever wanted to emerge. Not surprisingly, the take-away points applied not just to the programs we had time to review, but to almost every aspect of my business. And the feedback didn’t just apply to me, but could be usedby any coach wanting to have more clarity in their messaging and services. Here are my six key points from the focus group conversations and how you might apply them toyour own work. 1. Remember to explicitly answer "Why me?" It doesn’t matter how clear your niche is, orhow well known you are within your market. As long as there are other people serving the same or similar audience, you still have to answer the question “Why should I choose you instead of someone else?” You don’t want to compete on price; you want to be in the mix because your voice is clear and compelling. Don’t assume that your differentiating market is enough to set you apart. Connect the dots for your prospects. 2. Let us see what you have to offer on a continuum, so I can tell where I might plug in as a client/customer. Ideally, your offerings exist on a spectrum, from those with low barriers to entry (books, freebies) to high-end services (comprehensive coaching/training programs). Give your audience an at-a-glance opportunity to see their options. It might take the form of a chart, grid, or other visual representation. As you present the information,remember to lead with the client’s needs and the benefits they’ll experience before jumping into logistics. 3. Use tag lines or subtitles to clarify more generic offering titles. A title doesn’t have to do all of the heavy marketing lifting. If the fastest way to catch someone’s attention and notconfuse them (see #4) is to keep the title simple, then use a tag line to further differentiate and spice things up. The opposite is true, too: if your title is catchy but doesn’t describe the product, then use the tag to be plain-spoken about what it is. 4. Avoid choice overload. We all fall into this at some point. We have lots of great ideas, we throw them all out there, and we become attached to them. Or we think we need to give prospective clients lots of options, so they can see themselves somewhere in our programs. Instead, remember this: a confused mind always says no. Too many choices – whether that’s price, coaching offerings, training programs, online courses – can lead to prospect overwhelm. This is one time when scarcity – having fewer but more focused choices – might serve both you and the client best. 5. Show, don't tell. Consider where video or audio could tell the story better than the written word. Use images that clearly communicate your brand promise. Whenever possible, make it “homegrown.” For instance, to explain the mastermind group concept, I created a video with a handful of colleagues who volunteered to create a demonstration session. A short video will crystalize the concept better than any amount of writing would do! 6. Don't assume benefits and outcomes are clear; be direct. This brings us full circle back to releasing assumptions. While we can’t make promises or guarantees, we can still speak to the benefits someone could receive if they fully engage. If there are tangible outcomes, such as new knowledge or skills, be explicit about that. Avoid using hyperbole and outlier results. Tell your prospects as clearly as possible what’s in it for them. You see a few themes here: question assumptions, be more direct than you think you need to be, and keep it simple. In a way, it’s about going back to basics. If you find you’re generating interest but not action, it might be worth it to spend time walking through your offerings with these six points in mind. And I highly recommend intentionally opening up that feedback loop with your prospects and clients! It doesn’t matter if you do a survey, focus group, social media poll, or have informal one-on-one conversations. The goal is the same: to gather information that will help you focus your energy on making meaningful connections with the people you wish to serve.